In his first US solo show, The Street Is In The House, Italian born artist Carlo Sampietro presents five years of work based on his observations of life in megalopolises. The Street Is In The House is a body of work that transmutes elements of urban life into objets d’art. By using found materials and placing them in unfamiliar contexts and sophisticated designs, Sampietro reshapes everyday objects into meaningful amalgams. Sampietro dismantles established value structures and elements of social behavior, the catastrophic result of human ignorance, and the immutability of desire. The artist begins by surrounding himself with objects that populate NYC sidewalks. He obsessively searches for familiar props on the street that will represent and communicate metaphors concerning problematic situations rooted in urban society. Based on his international background and his research, he uses a point of view and comparison that expands to megacities worldwide. 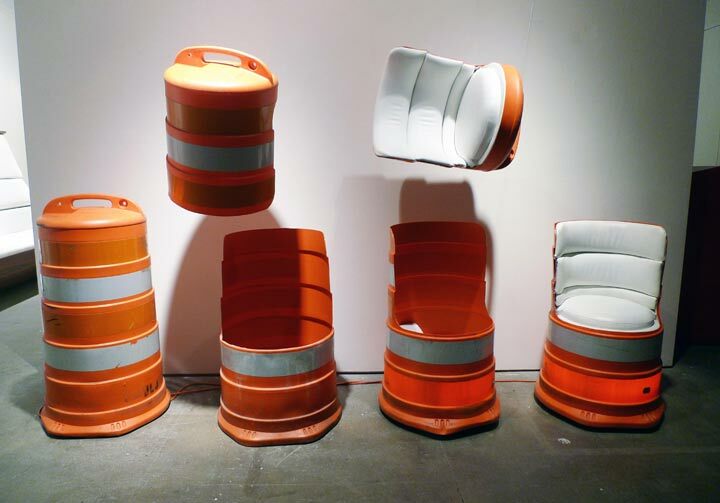 He forces the audience to face social realities by bringing repurposed street objects into the house or bringing viewers out into the street. 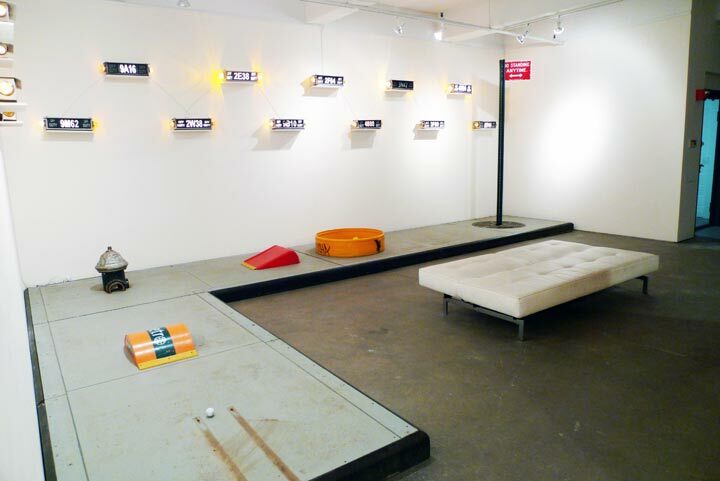 At the gallery, spectators will be able to play mini-golf through “Street Scraper,” a reconstruction of a 50 feet sidewalk where urban elements seem to emerge from the concrete. This installation is a provocation to reuse the sidewalk as a social melting pot and as an extension of our living rooms, the way life in the city used to be. 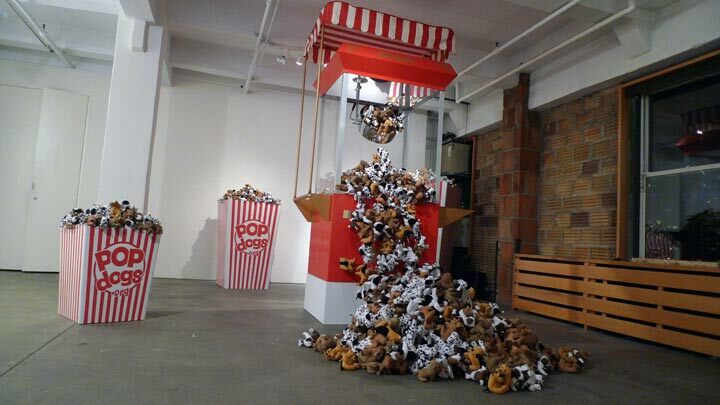 In his installation, PopDogs, Sampietro investigates facets of the urban condition by creating a gargantuan edifice—a popcorn machine that spews plastic dogs at an alarming rate—a symbolic parallel to canine overpopulation in urban centers. In the video art Bunda Pandeiro, Sampietro explores the roles of gender and race in the contemporary world. An entire room will be dedicated to Cloche Sofa Masterpieces, a body of work that dismantles discarded elements of construction materials, such as sewer pipes and elevates them into unique and functional designs. 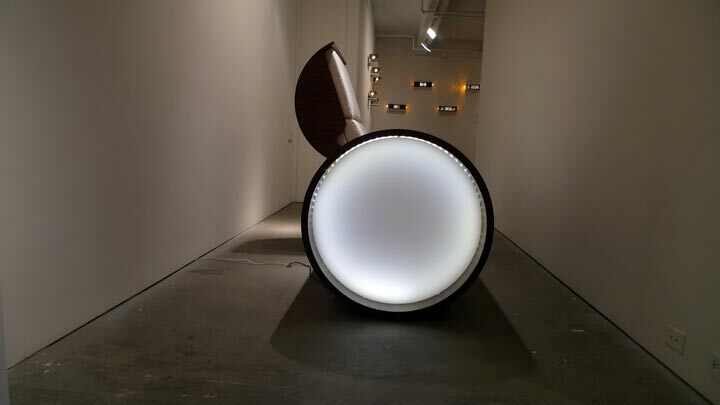 Carlo Sampietro’s works have appeared in several exhibitions including Figment (NYC), Galleria Rossana Orlandi (Milan) and Queens Museum of Art (NYC). 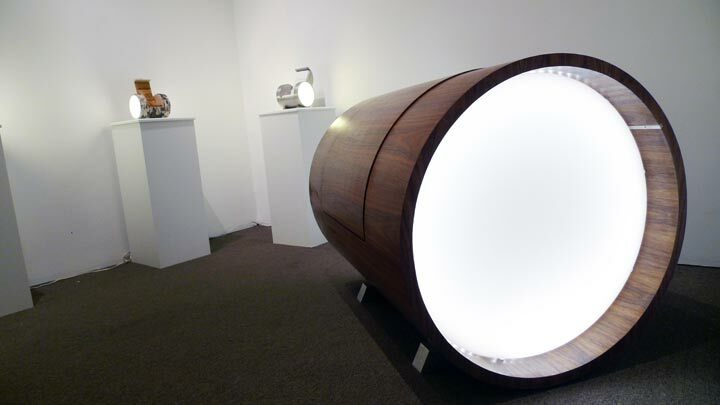 He is the recipient of the Celeste Prize (2012) by Premio Scultura Urbana and first prize from A’ Design Award (2013). His film Bunda Pandeiro was featured at the Berlin Short Film Festival, Brooklyn Film Festival and won in the Experimental category in both the Tirana International Film Festival (2013) and the Brooklyn Film Festival (2013). 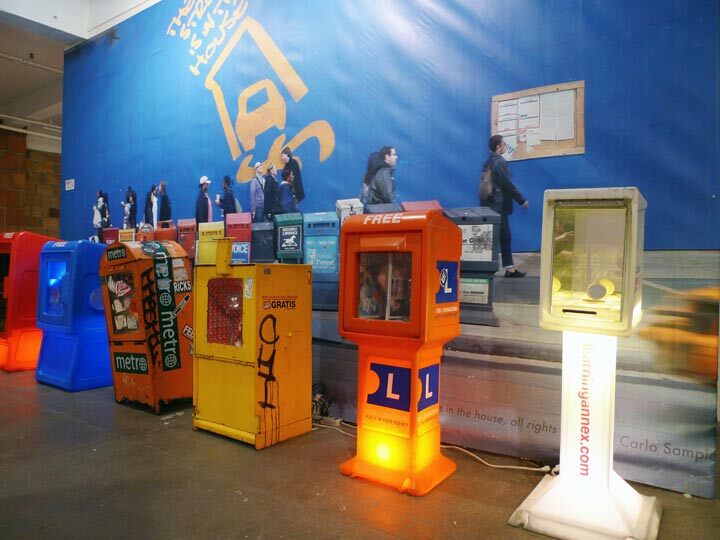 His work has been featured in The Financial Times, The Washington Post, El Pais, Corriere Della Sera, Public Art Review, among other publications. Sampietro has lived in NYC for 13 years and continues to search for objects which will interpret his visión for his upcoming projects Aqueduct and onimoD.